-JTR team or at least 2 HSTR ready teams. If you are interested please get in touch or if you have any questions feel free to ask. We have good participation in Territory War, Territory Battles, Guild Events, Guild Activities, Guild Chat. We are an active Guild for Members who just want to play their game. We are an active yet laid back Guild with an experienced core of Level 85 Members and Leadership. Communication is encouraged. Do your best to earn 600 Tickets in Daily Guild Activities. Most Players that join us stay long term and are active daily. Hook line and sinker is recruiting new members. We are a guild that does Heroic rancor and Heroic AAT raid. We are doing tier 6 Sith raid. We are at 78 million GP and we are growing together. The only requirement is participation in TW and TB and joining the discord server. We have 34/50 members so there are 16 places open to join! Come join us! PM me for more information or questions! 31 TW Wins, 44 LS/47 DS. Attitude: Positive and ready to kick it! We are Revans New 0rder, come see what we're about. WE MAKE 100% PARTICIPATION FUN! Plus we have 5 REVANS! Zero drama, I've made an amazing community here with great people and a very well organized discord server. We only have one spot, so join our server today and get acquainted with your new guild. We will be moving up to HSTR after Thanksgiving. (24hr Registration period) No Limit. -Must maintain 500 -600 tickets daily. If you have any questions, please feel free to message me anytime. We don't have special rules, just be active. If there is a guild that want to merge, we are open for proposals. 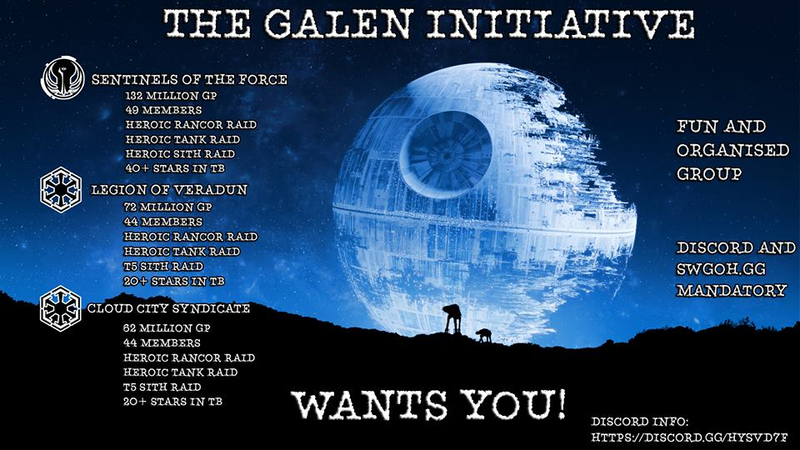 UK based Guild looking for new recruits. Small groups welcome. hPit and hAAT on farm. Currently T5/T6 STR and looking to push higher. Friendly, relaxed and very helpful guild looking for active members to participate in all aspects of the game. We are looking 400-600 tickets each day. -want a place to play, be casual and enjoy the game as it is meant to be? 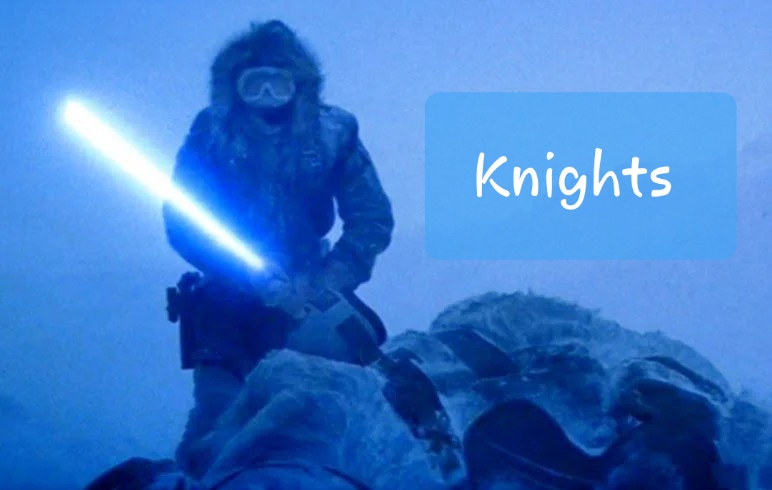 Come on and become a knight of the tauntaun!!! Need active players, that want to play, to keep those tickets up and get our butts in the war and win! --we have a dozen members over 1mil gp, myself at lead at 3mil gp. Looking to reinvigorate a long running guild! Prefer 80+ but a little less is fine; willing to help grow. Hit me up on discord or just join up...we are waiting! We are a UK based guild, 160mil GP, looking for social and active members to complete our team! Tired of alliances? Fed up with being told what to farm? Sick of endless, pointless rules? Join degobah swamp surfers! Chilled but competative veterans. Lots of experience and knowledge. All of us already have traya as we left a 170mil gp guild. Want to return the fun and social aspect back into the game. Currently at 76 mil with only 23 members. Have 2 possibly 3 joining after tw that will put us at around 84/86 mil. All have experience with heroic sith raid and know how to smash it quick. Looking for people with 2.5mil upwards and good teams for hsr/tw/tb and guys we dont have to chase for participation. Lots of useful tools to help you progress. Thanks and may the force be with you! We are an USA EST guild. Greetings, I am Order 66, the recruiter from the Green Company. We are looking for members who are level 85 and are ready for Territory Battles and Territory War. If you need a home to get things done and build those characters please join us. We follow "Warrior presents" and his numerous game aspect videos. We run the following Heroic Raids: Rancor and HAAT which offer Han Solo and General Kenobi shards as well as better gear rewards. The only requirement is you need at least one 7 star hero. If you have one or several 7 star heroes then you're ready to join Green Company. We also run a T4 Sith raid. We are a newer guild with 10 great members and we are growing. If you want to join a fun, laid back group of people that are here to play the game and not set crazy rules, come check out Legion of Dark Helmet. We accept players of all levels and are open to everyone. As long as you are about having fun and playing SWGoH, we are the guild you are looking for. My swgoh.gg account is https://swgoh.gg/p/892251513/ if you want to check my roster out. We get 35-37 stars each TB ( you should have most of the characters needed for TB special missions ) and 2 zetas most of the time each TWars. NEW WORLD EMPIRE WANTS YOU! We are a highly organized, 140M GP, independent guild. Currently we’re 46-1 in TW and average 41* in LSTB and 43* in DSTB. We do HRancor 3x a week, HAAT 2x a week (both at 9pm CDT), and HSTR 2x a week (launching at 6:30 CDT whenever we have enough tickets). We have a wide range of players, including several veterans, and a low guild turnover rate. Come join our guild and get your Traya shards! The Darthy Dudes are looking for 2 players to complete our guild! We are looking for active players that participate and are looking to grow. We currently have members in the US, Ireland, and China. We are asking for a minimum level of 80. We are a close-knit guild and are willing to help members grow. We have experienced players willing to answer questions. Discord is not required but definitely recommended. We have no rules except participation, which is tracked. We understand that real life comes first and are willing to work around schedules or events, just communicate with an officer. We look forward to having you part of our team. Contact on discord if interested. Join degobah swamp surfers! Chilled but competative veterans. Lots of experience and knowledge. All of us already have traya as we left a 170mil gp guild. Want to return the fun and social aspect back into the game. We will never tell you what to farm or to spend money. Most our players are ftp and we wont try and change that. Currently at 76 mil with only 23 members. Have 2 possibly 3 joining after tw that will put us at around 84/86 mil. All have experience with heroic sith raid and know have to smash it quick. Looking for people with 2.5mil upwards and good teams for hsr/tw/tb and guys we dont have to chase for participation. Lots of useful tools to help you progress. 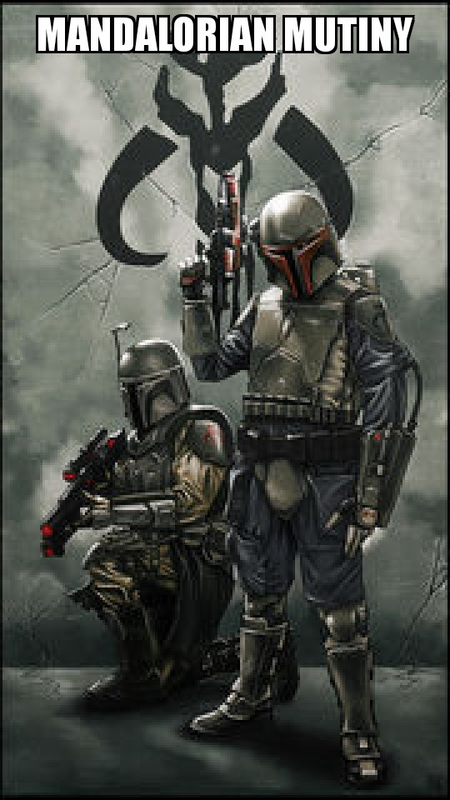 Mandalorian Mutiny is looking for active players who like to have fun. We are 170 mill gp, 44 stars lstb, 46 dstb. Our raid times are 9 pm eastern U.S. Minimum requirements are 2.8 million gp and the ability to follow simple rules. Our focus is to have fun but perform at a high level. We have no strict rules and posting funny gifs is encouraged. I have a well organized discord server and plenty of people to give advice if needed. If this sounds good to you, send me a pm. I'm busy, you're busy, let's make this quick. Help us work toward HSTR! IRON is a 117M T6 STR guild based in US raid times but with international players. 32-33* in TB, raid times vary to accommodate all. We have 30 JTRs and are slowly but surely working toward HSTR. We currently clear T6 in about 4 days. We're asking for 1.75M GP+ but we prioritize activity over GP. Minimums 400+ ticket average and 4 out of 6 days participation in TB. We also ask that you have a swgoh.gg account. We use and like Discord but it's not mandatory. Questions? Concerns? SWGOH puns? Contact me here or on Discord @Baniss#1158. We're looking for players that are HSTR ready. GP is not important, collection and activity are! We require 600 daily, HSTR, TB and TW participation. Greetings! We are a friendly semi-casual guild looking to expand a little bit and gear up for HSTR. We currently have a few spots open and are looking to slowly replace some of our inactive players with daily players. We are looking for players that are around 2M GP or higher and are wanting to play TB/TW/STR daily. If you have really strong STR teams but are below 2M GP Don't Worry! We value participation and engagement over pure GP or skill. Though we are semi-casual, we do have a few things we require. Primarily, we ask that you join our discord server and join swgoh.gg. Secondly, we value event participation. Daily activity in STR, TB and TW are encouraged. We currently do STR VI and have been testing HSTR every few weeks. Our raids start at our refresh time which is 6:30 pm CST. Please contact me on discord so we can get you invited. Ugnaught Again is looking for active players. Discord not required, but recommended. Гильдия БЕСТИАРИЙ проводит набор активных игороков!!! 1. Уровень прокачки аккаунта максимум 85. 2. Ваша ГМ не имеет значения (главное желание активно развиваться). 3. Наличие минимум одного персонажа с 7* для участия в рейдах. 4. Участие во всех мероприятиях гильдии: рейды, тер. битвы, войны гильдий. 5. Желание быстро прокачать соответствющих персонажей для территориальных битв (светлые, темные, флот). 6. Желательно Ваше присутствие в чате гильдии в WhatsApp. Ранкор 7* (время запуска 19-00, первые сутки 0 урона, следующий день в 19:00 закрытие, бьют все). Танк 7* (время запуска 19-00, урон без ограничения, закрытие на следующий день к 19:00). Ситхи 6* (запускаем по мере закрытия рейда, в среднем это каждые четыре дня). 2. Гильдию с количеством игроков 43/50 и ГМ 56 млн. 3. Помощь и общение, активный обмен деталями. 4. Актив ГИ составляют игроки с 85 уровнем прокачки. 5.Светлые ТБ-24 звёзд Тёмные ТБ-24 звёзд. 6.Война 20 побед за 10 месяцев игры. - неактивность: отсутствие без предупреждения в течении 3-х дней, 0 энка в течении 3-х дней при вашем присутствии в игре. - не участие в ВГ и ТБ. - оскорбление членов гильдии в чате. У нас Дружный и общительный коллектив!!! По вопросам о вступлении пишите либо в личку, либо в нашу группу, либо в WhatsApp, в сообщении пишите код союзника. На данные момент гильдия открыта.